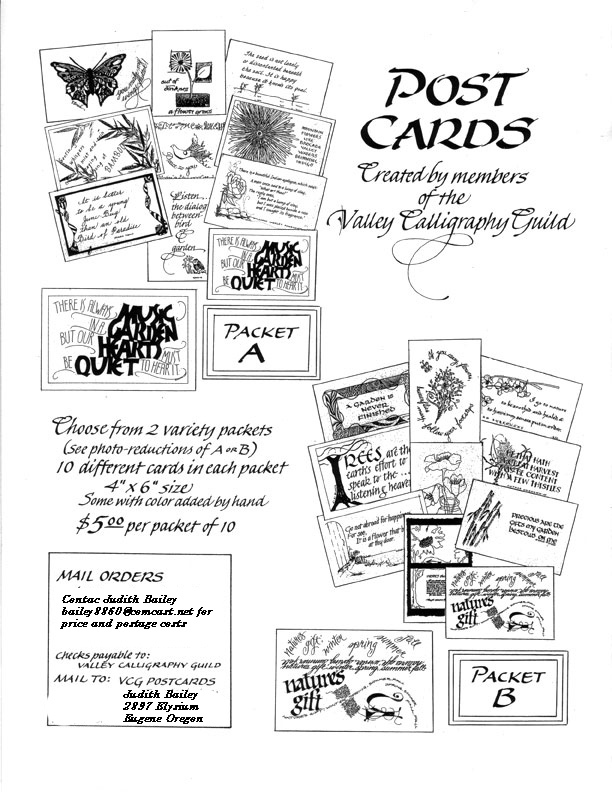 Valley Calligraphy Guild General Meetings are often held on the 4th Thursday of the month. Other Thursday meetings and changes in schedule are indicated in color. Deliver framed pieces for VCG Show at Mt. Angel Abbey including labels for each piece. Bring pieces and labels to the meeting or deliver to Kay Beckham. Send Anne Merydith your label information before April 25, if you plan to deliver your piece directly to Mount Angel. on April 30th at 10 AM, when hanging starts. See flyer for details.